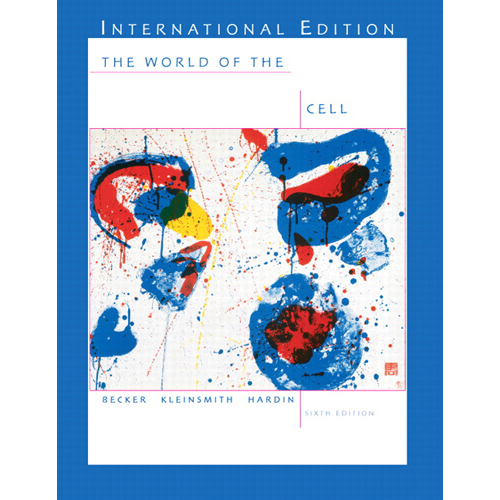 Continuing the tradition of its widely-praised previous editions, The World of the Cell, Seventh Edition, covers at the right depth and clarity– bioinformatics, bioenergetics, metabolism, enzyme kinetics, thermodynamics, membrane transport, cell signaling, regulatory mechanisms, transcription and translation, signal transduction, and DNA replication and recombination. The new edition features information on Micro RNAis, other modern molecular techniques, and recent research advances without overwhelming students in detail. The World of the Cell's trademark features–art that teaches, Multi-level Problem Sets, and Concept Statements–have been augmented with new, time-saving study tools and “Mini-captions” for selected figures.